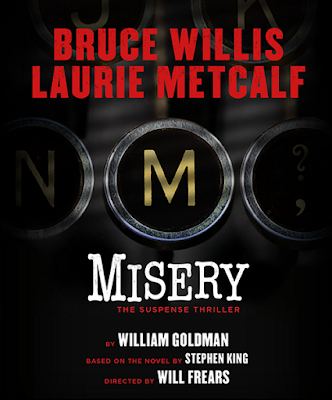 You may have heard Bruce Willis is currently starring on Broadway in the stage production of Misery. The play, co-starring Laurie Metcalf, runs through mid-February. I dunno if tix are still avail but if they are, you’ll find them here. The movie, a horror classic based on a Stephen King book, came out twenty-five years ago this month. 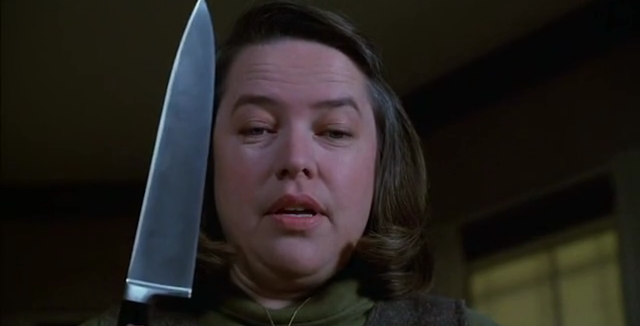 If you’re one of my writerly friends, the idea of having a number one fan the likes of Annie (Kathy Bates) rescuing you is probably your worst nightmare. 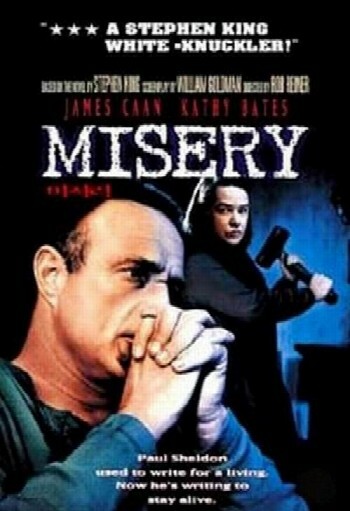 Today’s Saturday Matinee stars James Caan as Paul Sheridan, the writer—Regency Romances are his genre— that Annie rescues from a roadside accident and nurses back to health ... until she reads Misery’s Child, Sheridan’s most recent novel, and loses her mind when Misery dies at the end of the book. Imagine having a reader so thoroughly invested in your character’s lives! 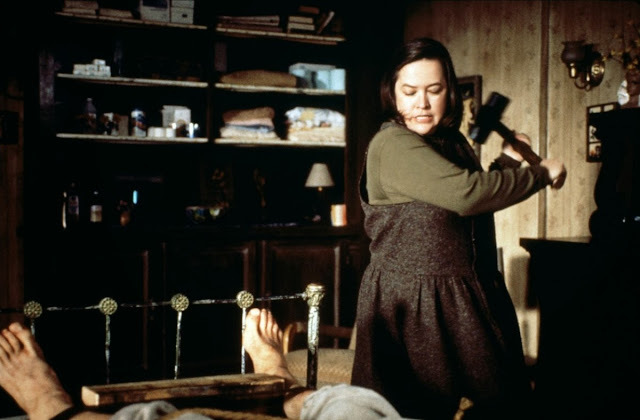 Kathy Bates won both an Oscar and a Golden Globe for her portrayal of the crazed book fan, and if you haven’t seen it, or even if you have, Misery, based on the Stephen King novel is most certainly worth curling up in front of the TV for. You can stream it on YouTube, iTunes, GooglePlay, Vudu, and Amazon. 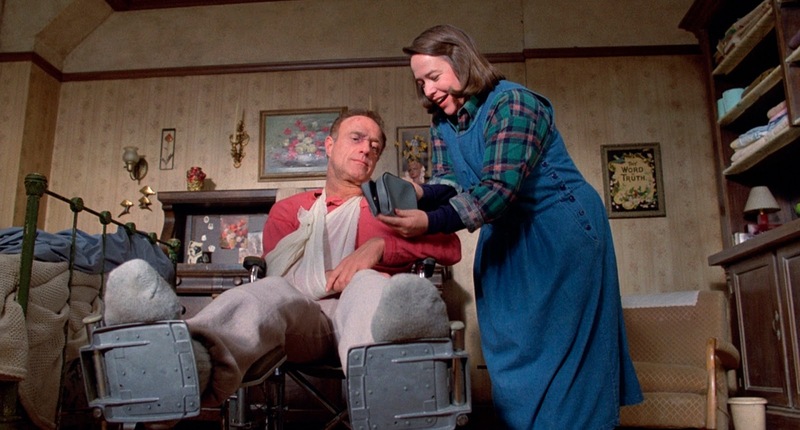 As often seems to be the case, Netflix offers Misery, but only in DVD or Blu-Ray form.